Got a small business with bills to pay? 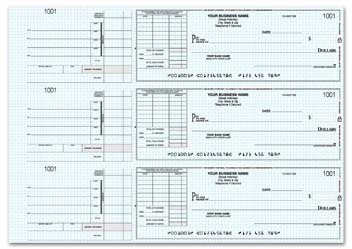 Save some time when you use these manual checks featuring invoice boxes in the top left corner. This allows you to pay multiple invoices with one check. Just detail the totals and add them up in the convenient invoice box area. Each business check contains seven spots for recording different payments. That's a lot of birds and just one stone! Don't waste money by writing a separate check for everything. 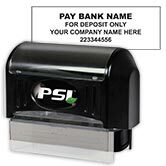 Combine payments to the same person or business with this practical product. 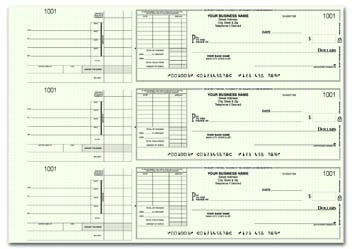 Order your own General Disbursement Invoice Checks right now! Don't forget to add one of our tough-to-find 7-ring binders or a comb binder to keep everything in its place.